In the high-profile world of Silicon Valley startups, founders talk about pivoting as a rite of passage on the road to commercial success. To hear these “wonder kids” describe it, they recognized when they had a “dud” strategy or product and consciously moved toward a new, well-conceived one. In reality, the process is rarely that linear. 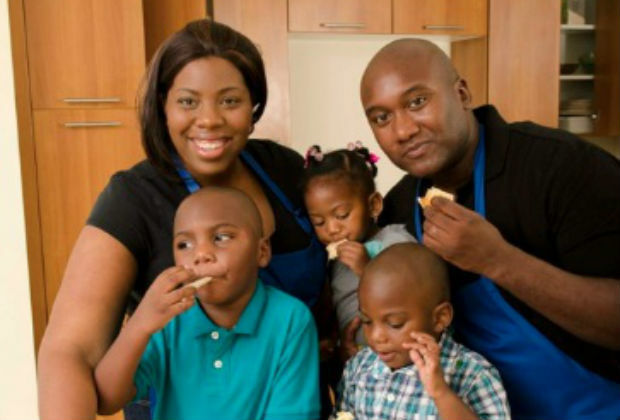 Meet Jamie and Jilea Hemmings, a husband and wife team, who started Greenie Tots frozen meals- a product that became meatless after they committed to a commercial cooking space without realizing that it wasn’t USDA approved for meat. Oops. Pivot once. Back in 2010, the Hemmings set out to make high quality prepared meals for kids. Their oldest child was two and recently diagnosed with autism and they had noticed that his behavior tracked with his food. “If he ate garbage, he behaved like garbage and if he ate well, he behaved well,” said Jilea. Food was like a drug in their son’s body and when they controlled the quality of his food teachers started noticing the difference in his behavior. Jilea and Jamie both have MBAs and were successful in their chosen careers, but neither had experience in the food industry. This made for a steep learning curve– specifically when it came to learning about food regulations. This hiccup led to meatless meals—a change that turned out to be a blessing, as it gave them a clearly defined point of difference. Greenie Tots is the only line of meatless children’s meals on the market and competes with well known brands like Earth’s Best and Kid Fresh. Another surprise was the demographics of their business. Nearly all are meat eaters and one third of their customers are adults— parents try the product before giving it to their kids and discover they like the taste! Greenie Tots meals are currently available in Whole Foods stores throughout Florida and in select stores in New Jersey and New York, Giant Eagle stores, and independent grocers throughout the east cost. Jilea and Jamie have pursued every possible avenue to build their business, starting at farmers markets in their hometown of Ft. Lauderdale to get some customer experience. While they gained this experience, Jilea and Jamie had a chance to get all the administrative things done that “no one appreciates,” says Jilea, like third party audits, nutritional certifications, customized UPC codes by retailer, etc. Once in the “trial” stores that Whole Foods agreed to, they discovered that, “Whole Foods is the best place to start a new business due to the incredible support they give their vendors,” says Jilea. As a newbie in Whole Foods, Greenie Tots was partnered with a local vendor whose products were established and doing well in their stores. National Frozen Food Association trade group meetings and networking with other brands in the supermarket freezer quickly filled in any remaining gaps in their knowledge. To help keep costs down, Jilea obtained certification as a minority-owned business thereby eliminating some of the slotting fees required by supermarkets to get products on the shelf. More recently, they have auditioned for Shark Tank and started a crowdfunding campaign as a way of supporting expansion. The bottom line, says Jilea, is, “we’ve grown to where we are primarily because of our mistakes, not our successes.” Seeing their son’s continued progress and hearing from many parents about their own experiences at home keeps them going as they deplete their retirement savings to stay afloat until investment money is secured. Financing a business is always the toughest part, but Jilea and Jamie have gotten this far with a great tasting, differentiated product that helps special kids and parents lead healthier lives. All the fixin’s of a great story. Click here for more on financing your business with crowdfunding. Watch and learn about funding from angel investor Judy Robinett. For a bit of inspiration, read about two rockin’ grannies and their Shark Tank success.